If you are new to modelling you may not be aware that there are a number of different types of work you can do to make a successful living in the industry. One example is catalogue modelling. Ever spent time flicking through the pages of the catalogues sent to you by your favourite brands? Then you will already be familiar with the work of a catalogue model. You may even be comparing yourself to the men and women smiling from the pages and wondering if you could do it too. One of the great things about this profitable portion of the modelling world is that there are very few criteria. If your look, shape or size does not match the model proportions you have come to expect then don’t worry, there are plenty of opportunities for people like you. Personality counts so if you have a bubbly nature, are vivacious, friendly and easy going then you will already score high with agencies and clients alike. Quite often people working as actors will also cross over into commercial work. Take that first step in your catalogue modelling career and register with us today! How Do I Know If I Have Potential? There are catalogues available for just about every kind of product you could think of. Sure you will most likely spend a lot of your time modelling clothes but, depending on your age, you could also find yourself featured in catalogues for sports equipment, homewares, underwear, shoes, accessories, health and beauty products, mobility products and more. And it’s not just printed publications; your picture is also likely to be used online for corporate and retail websites too. As the online world is becoming hugely popular more catalogue brands are creating websites to reach out to their audience. Therefore, catalogue fashion models will hopefully have a lot of work coming their way. Catalogues such as The Next Directory, Freemans and Littlewoods have a wide range of clothing to shoot. With a target audience aimed at the whole family it is not just female models that are hired. Separated into relevant sections catalogues cater for the husband, kids, grandma and distant relatives. Therefore, the photoshoot can steer away from fashion. Fitness models are hired to showcase gym equipment, children play with age appropriate toys and the whole family could be sat around a dining room table. Modelling jobs are very varied requiring for models to act natural and to be extremely versatile. Remember it is a destination for parents to do the shopping for every member of the family in one place. Mums will most likely buy for their children, their husband and a few bits for herself also making shopping much easier. Therefore, modelling does have to reflect this with group shots. Child modelling is very much a part of the catalogue world. Catalogue models are not needed for the runway at London Fashion Week yet will regularly attend photoshoots. The days can be long and exhausting as the photographer tries to shoot as many looks or products as possible. There are a lot of pages to fill. The poses will be kept to minimal, natural poses that showcase the fit of the design or how the product works. It can be difficult to be relaxed and 100% natural yet with modelling experience it will become a lot easier. 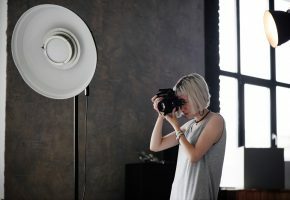 Each photoshoot will most likely to be shot in a studio to keep cost down and to be in control. What Do Agencies and Their Clients Look For? Whilst there are no set criteria, some castings and jobs may specify a certain look, age range or clothing size. Every job is different and so modelling agencies aim to have a broad range of models on their books. For example, a petite clothing company will require models that are below a certain height in order for their clothes to fit a model well. Whereas a client seeking models for a mobility catalogue is likely to seek mature models who represent their target market. Similarly plus size models, ethnic models, child and teen models should all be suitable for certain kinds of catalogue work. Also, male modelling is a big part of the catalogue world. Depending on how you prefer to work, you can either sign with a model agency that represents models in your category or you can choose to work freelance and find your own clients. To become a model it does demand hard work Either way you will need to invest in a professional portfolio of photographs at some point. Expert organisations such as UK Models can help you create a selection photographs and offer tips on finding reputable agents. As with all types of modelling there is no set salary. The work is flexible and is up to you or your agency to negotiate a fair price. If you accept a job found by the agency, remember that they will take a percentage of the wage. New models may get paid less than experienced models however, make sure that you are being treated fairly and are not undervalued. Larger companies do have the money to pay so make sure that you are not silenced via clothes or products. These will not pay the bills. The modelling industry does demand for flexibility and is not a 9-5 job. Therefore, you must be sensible with your finances as you may get a large cheque, which needs to last a while. Do not go on a spending spree within the first couple of days. Make sure you save so that if the next job is in a couple of weeks you have enough money to survive. Also, make sure that you account for work that might be paid a couple of months after you have completed it. It’s about balancing and saving money. Working as a model can be a rewarding career. Consider all of your options before deciding which kind of work is right for you.